Overall, Cenovus's 2018 upstream financial results were significantly impacted by widening light-heavy oil price differentials, which reached historical highs in the fourth quarter, as well as realized hedging losses of $1.6 billion largely in the first three quarters of the year. Despite the hit, the company expects to maintain and improve on its continuing production operations, while also expanding its plans to move oil by rail in 2019. "In the fourth quarter, in some of the most difficult macro-economic conditions we've ever faced and while voluntarily managing our oil sands production lower, we remained relatively cash-flow neutral and continued to deleverage our balance sheet. I believe we are well positioned to make material progress on our business plan and further deleverage in 2019," said Alex Pourbaix, Cenovus President & Chief Executive Officer. "Over the past year, Cenovus has become a stronger company through our focus on capital discipline and cost leadership while maintaining safe and reliable operations." Overall, Cenovus's 2018 upstream financial results were significantly impacted by widening light-heavy oil price differentials, which reached historical highs in the fourth quarter, as well as realized hedging losses of $1.6 billion largely in the first three quarters of the year. At the same time, the wider differentials created a feedstock cost advantage for the company's jointly owned refineries. Cenovus's $2.9 billion net loss from continuing operations last year included three large non-cash charges: an exploration expense in the Deep Basin segment, a significant provision for office space that exceeds the company's long-term requirements and a loss on the sale of the Pipestone business. Cenovus made meaningful progress in further deleveraging its balance sheet in 2018 and early 2019. In the fourth quarter of 2018 and January of this year, the company reduced total debt outstanding by US$1.2 billion or 16%. This includes redeeming US$800 million of the company's 2019 unsecured notes and repurchasing a further US$400 million of its outstanding debt at a discount for US$369 million. In 2018, Cenovus reduced total capital expenditures by 18% compared with the previous year. Spending on continuing operations decreased largely as a result of the company's success in further reducing its oil sands sustaining capital costs. Cenovus remains focused on cost leadership and capital discipline and is targeting capital spending in 2019 of between $1.2 billion and $1.4 billion, the majority of which will go toward sustaining base oil sands production. In the fourth quarter of 2018, the average price differential between West Texas Intermediate (WTI) and Western Canadian Select (WCS) more than tripled, compared with the same period a year earlier, reaching a record of about US$52/bbl. For the full year, the WTI-WCS differential averaged US$26.31/bbl, compared with US$11.98/bbl in 2017. The wider average differential and higher condensate costs consistent with stronger WTI prices negatively impacted upstream operating margin. However, the wider WTI-WCS differential created a feedstock cost advantage for Cenovus's jointly owned U.S. refineries, as did the wider average price differential between WTI and West Texas Sour (WTS). Cenovus's fourth quarter 2018 results were also negatively impacted by the timing of condensate and refinery inventory drawdowns in a falling commodity price environment. Both condensate blended to produce heavy oil and refinery feedstock used in the fourth quarter were purchased several months earlier when prices were higher, resulting in lower earnings in the fourth quarter. Cenovus expects that in a rising price environment, the lower cost condensate and refinery feedstock purchased in the latter part of the fourth quarter will benefit its first-quarter 2019 results. After reaching a record high in the fourth quarter, the WTI-WCS price differential narrowed substantially following the Government of Alberta's December 2, 2018 announcement of temporary crude oil and bitumen production curtailments for producers, effective January 1. In January 2019, differentials remained narrow, and Cenovus anticipates they will normalize through the year, settling somewhere around rail transportation economics in the mid-to-high teens. In the second and third quarters of 2018, when Canadian crude oil prices remained somewhat normalized, Cenovus had combined free funds flow of almost $1.2 billion, reflecting the company's strong future cash generating potential. Cenovus had negative free funds flow in the first and fourth quarters, largely due to wider average oil price differentials, as well as refinery maintenance, declining WTI prices and realized hedging losses in the first quarter. Realized hedging losses for the full year were approximately $1.6 billion and were primarily related to risk management contracts put in place in 2017 that have since expired. Cenovus's cash from operating activities and adjusted funds flow declined 30% and 43% respectively in 2018 compared with 2017. The company had a net loss from continuing operations of approximately $2.9 billion compared with net earnings from continuing operations of nearly $2.3 billion a year earlier, when Cenovus recorded a significant after-tax revaluation gain of $1.9 billion. The 2018 net loss included a $2.1 billion non-cash exploration expense in the Deep Basin segment, a non-cash provision of nearly $630 million for office space that exceeds Cenovus's requirements, severance costs of $60 million and a before-tax loss of $797 million on the sale of the Pipestone business. "While our operational performance in 2018 was excellent, our overall financial results were impacted by the challenging Canadian commodity price environment, particularly in the fourth quarter, as well as our realized hedging losses for the year," said Pourbaix. "That said, I remain optimistic about our prospects for 2019. With the ramp-up of additional rail transport capacity this year and the anticipated start-up of Enbridge's Line 3 Replacement Project, we expect the overall pricing environment to be better than in 2018." Combined production at the Christina Lake and Foster Creek oil sands operations was nearly 363,000 barrels per day (bbls/d) in 2018, 24% higher than the previous year, mainly due to Cenovus's May 17, 2017 asset acquisition, which included the remaining 50% of Foster Creek and Christina Lake. Prior to the implementation of government-mandated production curtailments on January 1, 2019, Cenovus was already proactively managing oil sands volumes at Foster Creek and Christina Lake in the first and fourth quarters of 2018 in response to market access constraints and discounted Canadian heavy oil pricing. As part of this process, Cenovus demonstrated its ability to reduce production while maintaining steam injection, allowing the company to safely and effectively store mobilized barrels in its reservoirs for sale later when prices improve. Fourth quarter oil sands production was about 326,000 bbls/d, a 10% decrease from the same period in 2017, primarily due to the company's voluntary curtailment of approximately 51,000 bbls/d in the quarter. The Christina Lake phase G expansion, which has approved capacity of 50,000 bbls/d, is five months ahead of schedule and 25% below budget, largely due to advances in well pad design, longer well lengths and increased efficiencies in facility construction. 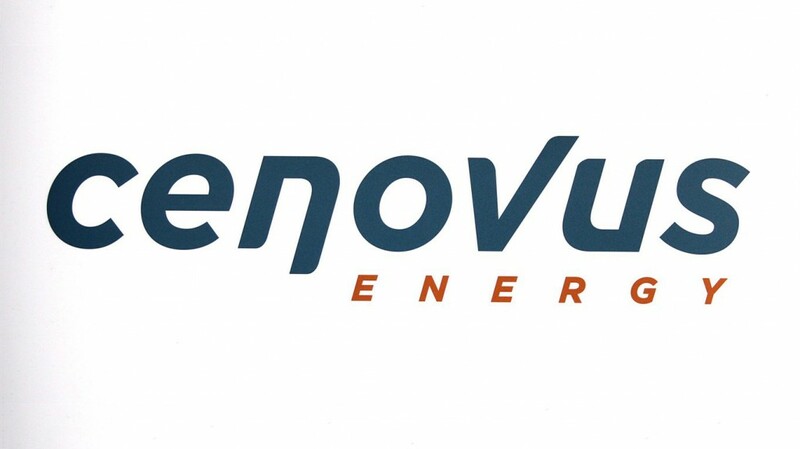 Cenovus expects phase G to be completed with industry leading full-cycle capital efficiencies of between $15,000 and $16,000 per barrel of capacity. First steam was achieved at the end of last month, and the project is expected to be complete and ready for production in the second quarter of this year. Cenovus has flexibility on start-up and will take into consideration whether mandated production curtailments have been lifted, if crude-by-rail takeaway capacity in Alberta ramps up as expected, and the in-service date of Enbridge's Line 3 Replacement Project. Production from the Deep Basin assets, which Cenovus acquired on May 17, 2017, averaged more than 120,000 BOE/d in 2018, 3% higher than during the company's 229-day period of ownership in 2017. The increase was primarily due to strong initial well results following a moderate drilling program in the first quarter of 2018. This was partially offset by the sale of the Pipestone business in September 2018. Production from Pipestone was approximately 8,800 BOE/d prior to the divestiture. Fourth quarter 2018 production in the Deep Basin was more than 106,000 BOE/d, 10% lower than in the same period a year earlier, primarily due to the divestiture. In 2018, Cenovus conducted a review of its long-term development plans for the Deep Basin assets. As a result, in the fourth quarter of 2018, the company wrote off previously capitalized exploration and evaluation costs as a one-time non-cash exploration expense. Cenovus's views on the quality of the Deep Basin assets and their long-term development potential remain unchanged; however, the company has decided to slow the pace of development due to the current outlook for commodity prices and the company's continued focus on deleveraging. Cenovus's Wood River, Illinois and Borger, Texas refineries, which are co-owned with the operator, Phillips 66, had strong operational performance in 2018. Refining and marketing operating margin for 2018 was $996 million compared with $598 million a year earlier. The year-over-year increase was largely the result of improved refined product prices and a feedstock cost advantage driven by wider differentials between WTI and WCS as well as between WTI and WTS in 2018 compared with 2017. Fourth quarter 2018 refining and marketing operating margin was $251 million, compared with $314 million in the same period in 2017. Cenovus's refining operating margin is calculated on a first-in, first-out (FIFO) inventory accounting basis. Using the last-in, first-out (LIFO) accounting method employed by most U.S. refiners, operating margin from refining and marketing would have been $118 million higher in 2018, compared with $93 million lower in 2017. In the fourth quarter of 2018, operating margin from refining and marketing would have been $198 million higher on a LIFO reporting basis, compared with $83 million lower in the same quarter of 2017. Cenovus's proved and probable reserves are evaluated each year by independent qualified reserves evaluators (IQREs). Cenovus's 2018 proved reserves finding and development (F&D) costs were $4.34/BOE, excluding changes in future development costs, down 40% from 2017, due to reduced capital spending and higher proved reserves additions in 2018. Three-year average F&D costs were $4.91/BOE, excluding changes in future development costs. More details about Cenovus's reserves are available under Financial Information in the Advisory, the company's Annual Information Form (AIF) and Annual Report on Form 40-F for the year ended December 31, 2018, which are available on SEDAR at sedar.com, EDGAR at sec.gov and Cenovus's website at cenovus.com. "Keith has made numerous contributions to Cenovus, including leading our successful efforts last fall to sign three-year rail agreements to transport our oil to the U.S. Gulf Coast," said Pourbaix. "Given the importance of the downstream portfolio in our five-year business plan and the critical role market access will continue to play in Cenovus's long-term success, I felt it was important to recognize Keith for his accomplishments so far and for the high expectations for his role going forward." Today, Cenovus is filing its audited Consolidated Financial Statements, Management's Discussion and Analysis (MD&A), and AIF, which includes disclosure relating to reserves data and other oil and gas information, with Canadian securities regulatory authorities. The company is also filing its Annual Report on Form 40-F for the year ended December 31, 2018 with the U.S. Securities and Exchange Commission. Copies of these documents will be available today on SEDAR at sedar.com, EDGAR at sec.gov (for the Form 40-F), and the company's website at cenovus.com under Investors. They can also be requested free of charge by email at [email protected].